CARLO GAVAZZI is proud to announce the launch of a new line of Fiber Optic Sensors, including the FA1 Fiber Optic Amplifier, and the FUT and FUR Fiber Optic Cables. The compact, intuitive, and flexible design of the FA1 Fiber Optic Amplifier is ideal for a wide variety of applications. An adjustable signal level, selectable response time, multiple timer functions, and UL508 approval provide the proper features and application flexibility required in industries such as semiconductor and packaging. Two 4-digit LED displays simplify programming, and provide excellent feedback for monitoring application set-up, troubleshooting, and operation. Along with the FA1 Amplifier, Carlo Gavazzi is launching an entirely new line of fiber optic cables, including the FUR Fiber Optic Cables for reflective applications, and the FUT Fiber Optic Cables for through beam applications. Available in a variety of fiber diameters and head diameters, the new cables are designed to simplify installation in diverse applications. Extended range, right angle head, and multiple sleeve options are also available. Bendable sleeves provide a means to extend the fiber or direct the light beam in installations with unusual mounting restrictions. FUT and FUR cables are currently available in plastic, and glass fiber optic cables will be available later in 2016. 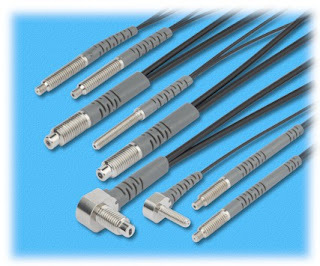 The new FA1, FUT, and FUR Fiber Optic Sensors will replace all older versions of plastic fiber optic sensors. For details on products to be phased out, including a cross reference to the new sensors, please refer to the Discontinuation Notice link below. 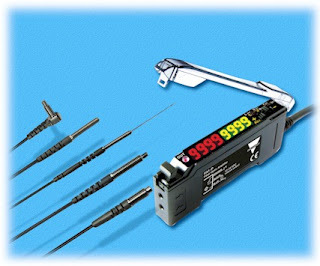 The Fiber Optics Sensors and Amplifiers are available from FPE Automation. Now you have the chance to win one! Is there a manual process in your production set-up that you believe could benefit from being automated? Then tell UR about it for a chance to win one of three robots. It could be a monotonous task that your employees would only be too happy to swap for one that requires problem solving skills or a task that needs to be carried out faster for you to stay competitive. 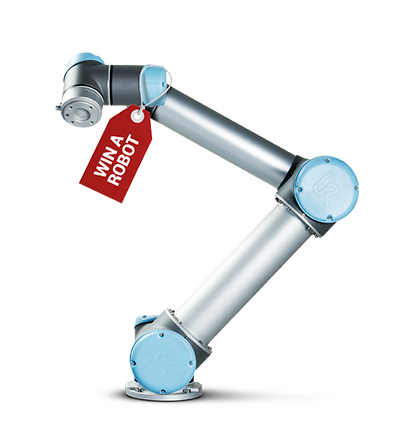 The three winners of a collaborative robot arm from Universal Robots will be the ones who can present the tasks most worthy of automation – so make sure you argue well when you tell us why you need a hand! PHD is pleased to release the PHD Plus® Series ECP Electric IP69K Cylinder. PHD series ECP Electric IP69K Cylinders are available in either ball screw or lead screw (polymer nut) versions, providing a wide range of high thrust or high speed capabilities. These performance electric cylinders are designed for food processing and packaging equipment utilized in high pressure/high temperature washdown and clean-in-place (CIP) environments. The Series ECP offers inline or foldback motor configurations and a broad variety of mounting accessories. Download/view Series ECP Electric IP69 Cylinders brochure. Come and see what your machine is missing. What gets missed on your line? Defective parts? Bar codes? All you may be missing is Cognex vision and/or the right ID reader! FPE Automation welcomes Cognex back to our on-site training center for a one-day event. Participants qualify for one-day-only, big discounts on an in-sight 2000 base lab kit. Includes: In-Sight 2000-130 Sensor with 8mm lens and white light, 16mm lens and extender, power and Ethernet cables and mounting bracket. Don't miss these savings! In-Sight 2000 is the latest Cognex innovation. It features all the power of an In-sight vision system, with the simplicity and affordability of a vision sensor. You'll have the opportunity to witness all of the technology at work, plus the EZ Builder software, in person. The Cognex team of experts will be ready to tackle it. Bring your parts, questions, concepts. We'll discuss them with you. In fact, we have found that this is such a valuable and popular part of any event, that we've set aside the entire afternoon for application review. “The robot has to be as delicate and as sensitive as a human"
This was the challenge Paradigm Electronics in Toronto faced when looking for a robotic solution to handle the finish polishing of loudspeakers. The Canadian manufacturer also needed the robot to operate in tandem with employees, so fencing it was not an option. The collaborative UR robots - or co-bots - met these criteria delivering a 50% production increase. "The Universal Robot was not only the best for the job, it was also the most cost efficient," concluded John Phillips, Paradigm's Senior Manager of Production Services. The UR co-bots lowered the automation barrier for Paradigm and continues to get robotics within reach of users not only in manufacturing, but also in industries such as healthcare and agriculture. We're expanding our local presence to better serve these new and existing markets, moving into new locations in Dallas, Southern California and Ann Arbor, Michigan, which will become our new headquarter for Americas. We look forward to discuss how Universal Robots might optimize your production. The UR robots have a built-in, adjustable force mode feature that is easily pre-programmed for specific applications. “If too much force is applied, the surface heats and the results go the opposite direction to what you’d hoped. Having the ability for the robot to work to a specific force was a huge advantage. We were aware of technologies that allowed for a force feedback system but they were actually as expensive as the entire UR robot." ~ John Phillips, Senior Manager of Production Services, Paradigm Electronics. Elimination of bottlenecks in production of labor intensive loudspeakers. Do you have an automation challenge? Does you production need to be optimized? Do you need to relieve your employees from monotonous and strenuous tasks? If you answer is “yes” to any of these questions, request a demo at your own facility for hands-on insights to how our robots can assist you. FPE Automation has invested in Universal Robots so we can bring one right to your door! Robots are on the road daily, traveling to companies just like yours. Contact FPE to schedule a demo. We're pleased to announce the addition of Smart Vision Lights to our world-class and award-winning product catalog. Think lighting solutions for machine vision applications. Smart Vision Lights delivers more advanced illumination products and specialty lighting. Check them out here. Smart Vision Lights’ Large Light Panel (LLP) backlights are edge-lit backlights that feature four-sided LED illumination for twice the intensity of our original versions. The clear anodized thin profile frame is more industrial than ever. This increased rigidity and improved mounting system offer an advanced rugged design. The LLPs feature a built-in driver with NPN-PNP triggering, analog intensity control, and the ability to run the light in constant or strobe mode. Standard sizing is available from 300mm x 300mm to 1800mm x 1200mm. Custom sizes are also available. A dome light made by Smart Vision Lights was mentioned in a recent article in Vision Systems Design. The article was about a system that St. Louis machine vision company EPIC Systems developed for a major producer of soft drinks that allows 900 6-ounce plastic bottles of fruit juice to be inspected per minute. EPIC used three In-Sight 5600 smart cameras from Cognex in the process, and the DLPW 300 x 300mm flat dome light from Smart Vision Lights enabled the cameras to better view the top of a bottle cap being inspected. Want more information about Smart Vision Lights? Contact FPE Automation.